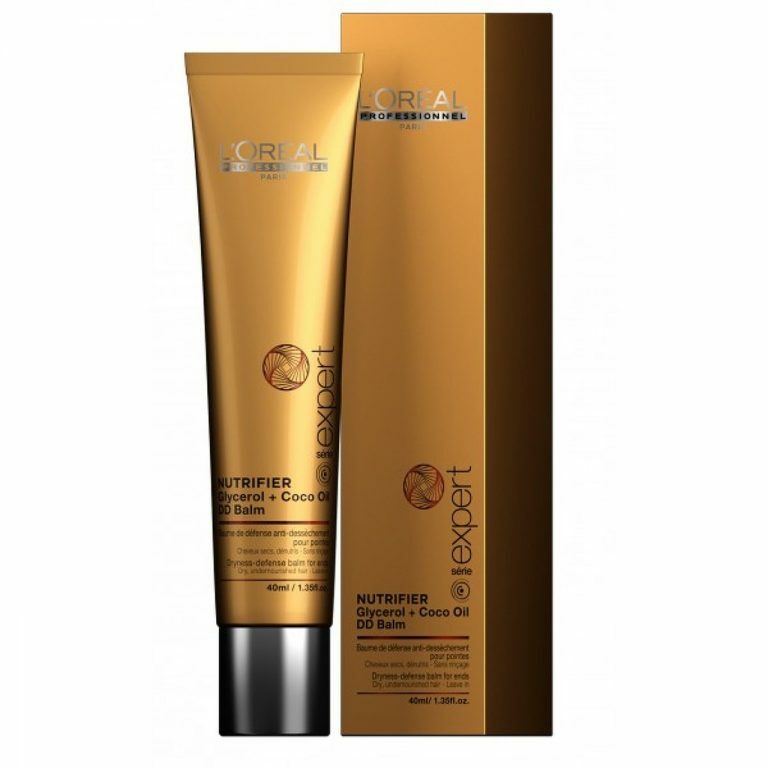 L’Oréal Professionnel presents Série Expert Nutrifier DD Balm, a ‘Dryness-Defense’ treatment expertly formulated to help moisturise dehydrated locks and nourish dry, frazzled ends. The leave-in conditioning balm is fortified with a professional concentration of Glycerol, which works to restore optimum hydration levels, whilst Coconut Oil replenishes essential fatty acids to plump and soften individual follicles and seal the appearance of split ends. Non-greasy and lightweight, the intensive balm leaves the tips of your hair feeling softer and healthier-looking with enhanced shine. Directions: Apply on dry ends and style as usual. Buy Serie Expert Nutrifier DD Balm 40ml on-line today at Riah Hair.